A Memorandum of Understanding (MoU) has been signed between Kochi prefecture government and the Interfaculty Initiative in Information Studies (III) of the University of Tokyo for IoT promotion in Kochi. Kochi prefecture is on Shikoku island, the smallest of the four major islands of Japan. The signing ceremony took place on 12 June 2018. The MoU is intended to foster the close collaboration between the two parties to solve the regional issues in Kochi prefecture including but not limited to regional economic promotion using advanced IoT technology. Graduate students will conduct research and development activities using IoT technology to solve real regional issues in selected places of Kochi prefecture. The MoU is the result of past activities. Kochi prefecture has set up a study group for promoting IoT in July 2016. 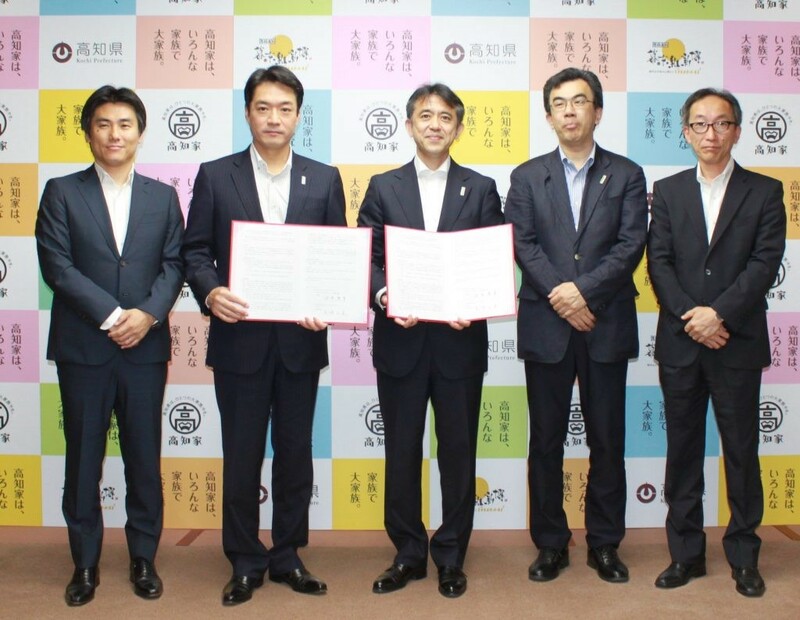 Since the fiscal year 2017, Prof. Noboru Koshizuka, a partner of CPaaS.io and vice dean of III, has become an official IoT promotion advisor to Kochi prefecture. Since March 2018, a couple of graduate student projects III have been performed in Kochi prefecture. This MoU will accelerate the research and development at III by using Kochi prefecture as the test field of various IoT-related technologies.